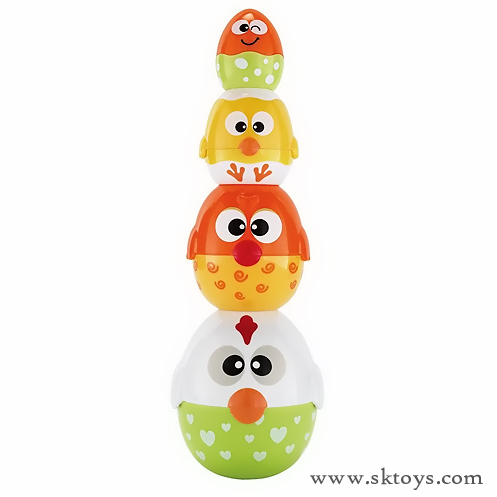 With Earlyears Chicken and Egg Stackers, baby will have so much fun putting the oval eggs together, stacking them, knocking them down, and nesting them. 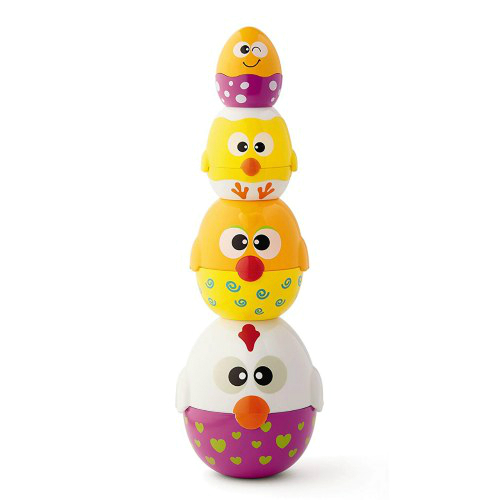 This 8 piece set comes with 4 colorful egg cups. 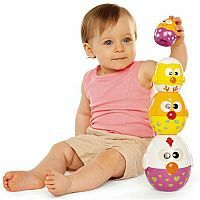 Babies and toddlers will develop fine motor skills as they match the tops and bottoms. 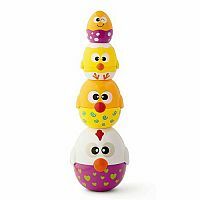 Each egg has an expressive face that will delight baby. 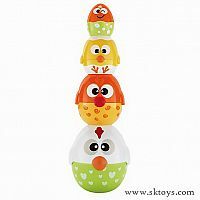 Stacks over 12" tall. 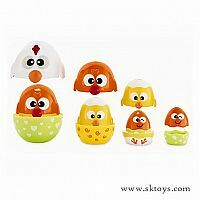 Ages 6 to 24 months. Measures approximately: 10.25 x 7.25 x 5.00 inches..